The holidays are officially upon us, and with them come lots of festivities and fun gatherings. During this social time of the year, you may be taking extra steps to ensure that you always look your best, and healthy, clear skin is probably pretty high on your list of priorities. Unfortunately, acne isn't very cooperative, and you may find yourself with breakouts at the most inopportune times. When this happens, it can be very tempting to turn to products offering a quick fix for your skin problems. However, relying on an endless string of supposedly fast-acting products can actually be doing more harm than good - and more importantly, first, you need to address those acne warning signs that are too serious to ignore. If you find yourself constantly reaching for the latest miracle cream or treatment, read this before you buy anything else. What's wrong with a quick fix approach? There's a reason why quick fixes are appealing - they're fast and easy. When you have a breakout that you want to get rid of ASAP, anything that claims to get rid of it fast sounds like something worth trying. However, this approach is actually flawed for a couple of reasons. First of all, I'm sure you're familiar with the phrase, "If it seems too good to be true then it probably is." In the world of acne treatments, fast-acting miracle cures are a dime a dozen, but many of them aren't worth the money. Whether they're based on shoddy science or the creation of a money-hungry business, many quick fixes simply won't work. It is possible to distinguish the good from the bad, but that will probably take a considerable amount of research and testing on your part, and since the whole point of quick fixes is to save time, doesn't that seem a little counterproductive? Secondly, when you cycle through numerous quick fix products, you put your skin at risk for further damage. Our skin is a sensitive organ, and when it's exposed to multiple different products at once or products even mildly irritating, the results can be horrible. From dangerous chemicals to allergic reactions, acne products have the potential to cause redness, dryness, inflammation, or rashes. Your skin actually goes into protection mode by producing more oil, which is the exact opposite of what you want to happen. To avoid this, do your research on products that will truly help assist the treatment of acne - and slowly introduce new products into your skincare routine - begin by applying them to inconspicuous areas of your body to ensure that your skin won't have an adverse reaction to them. Try not to introduce more than one product at a time, so that if problems do arise, you can easily pinpoint the source of trouble. Remember the less is more theory too! What's the alternative to quick fixes? Instead of spending your money on countless quick fixes, think about the long-term goal, which is getting to the root cause of your acne and preventing it from happening. It will save you a lot of time and money in the end. Not to mention, since we know that the origin of acne is internal, it makes sense to treat it internally, right? Some topicals can assist in treatment, but they don't have the power to fully break the cycle of acne. Take AcnEase, for example. It's a botanical product that addresses blackheads, whiteheads, and cysts from the inside out. One of the most common causes of acne is our hormones - when there is too much androgen present in the blood, this can send signals to your skin's sebaceous glands to produce more skin oil (or sebum). This overproduction of oil clogs your pores and begins the cycle of breakouts. 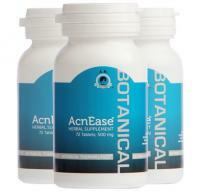 AcnEase helps stop this cycle by mitigating the effects that the hormones have on the sebaceous glands. It's safe, natural, and provides a long-term solution to your acne problems. 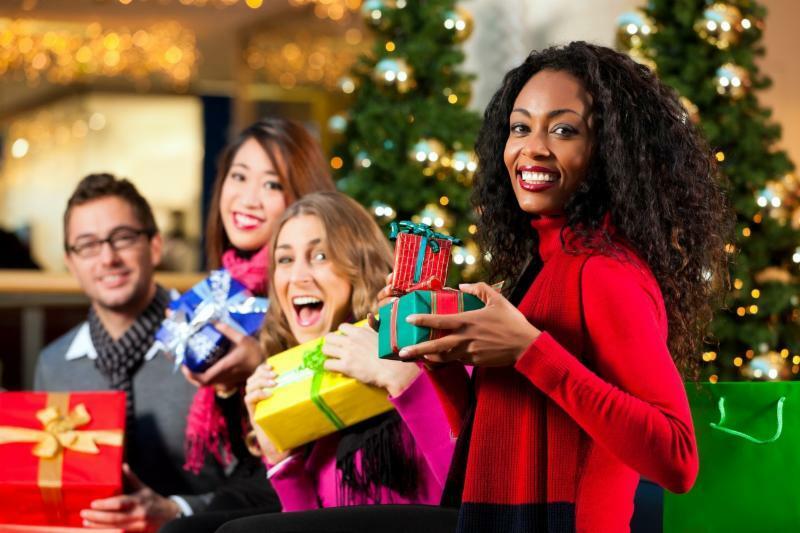 What's the best way to deal with emergency breakouts during the holidays? You may be convinced of the value of choosing a long-term acne solution, but that doesn't change the fact that you've got a Christmas party tomorrow evening and you've just started a new breakout! When emergency situations like these arise, you can turn to some emergency tips for those last minute zits and some good makeup applications (we have some celebrity makeup tips here). Just remember, these are short-term solutions. And even though it is ok to use makeup while you're on a journey to treat your acne, make sure you also choose products that are non-comedogenic - these have been specifically designed to keep from clogging your pores more than they already are. Know that prevention is your #1 defense against recurring acne. There are quick fixes and emergency tips you can use, but these are short lived. When you focus on long-term results, you're making a smart choice just like the 750,000 people that we've helped achieve clear skin...for good!